Another sweet blogger nominated my blog for an award. She nominated me 2 months ago and in those 2 months life happened and I haven’t been able to write many new blog posts or research the blogs that I wanted to nominate for the award. So, I’m sure I’m breaking every. single. blog etiquette rule out there, but I’m going to graciously accept my award and post my own nominations even if it’s so very belated. Thank you so very much to the wonderful Michele at Family, Faith, and Fridays. Such an encouraging homeschool and family blog! 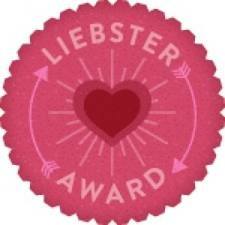 Here is my Liebster Award!!! So fun to receive my very first blog award!!! Thank you again Michele! Want to know more about Liebster?? 5. My hubby never buys me flowers he brings me books! 8. I live for Italian food! Favorite flower– I don’t even think I have one! I’m not the flower type. But I guess I would choose alstroemeria since they were in our wedding. Beach or mountains? – Mountains hands down. Unfortunately I live only a few hours from the sandy, messy, hot beach. Not my choice! Cats or dogs– I would choose dogs if my daughter weren’t allergic. Never, ever cats! Who inspires me?– My husband inspires me to bring spontaneous fun into our lives and step out of my comfort zone. I also have several sweet homeschool friends who inspire me to spend more time with the Lord and to enjoy every moment with my kiddos. One completed item on my bucket list– I’ve never really made a bucket list-I’m not really very adventuresome. But I’ve traveled to both South America and Europe and seen a play on Broadway. Those would be on my list if I made one. Phone calls or letters?– I would choose phone calls or even Skype because I love being able to hear the voice on the other end. Favorite movie– Pride and Prejudice with Keira Knightley. Love that story! 1. Who or what inspired you to homeschool? 3. What is your favorite subject to teach? 5. What is your favorite game to play with your kids? 8. What is something you’ve said or done that you always said you would never do or say? 9. What surprises you most about your child or children? 10. If you could have any animal for a pet, what would you choose? 11. What trait of yourself do you see most prominently displayed in your children? Have fun sharing the blogging love! Thank you-sounds fun! Will have to work on those questions. Thanks so much Lexi! I really appreciate it.